Douglas Goldstein, CFP ®, is the host of the personal finance online radio show, Goldstein on Gelt . Financial planner by day, radio host by night, Doug speaks to outstanding personalities about issues that touch your pocketbook and personal finance. Sign up to subscribe to weekly updates as to who the guests will be and to receive a free copy of the e-book, Goldstein on Gelt: Top Interviews of 2012. The “rags to riches” story is a popular format for fairytales. However, in the modern age, some of Credit: Image: Ambro / FreeDigitalPhotos.netthese stories are truer than ever. When I interviewed Gail Reynolds, author of Mum’s the Word, and one of the most successful Avon executives ever, I found the story of her progress from a single mom who left school at 15 to an entrepreneur who has addressed European Union on business issues particularly inspiring. To watch a video of this interview, scroll further down the page. Read the transcript to find out more. Douglas Goldstein: When the newspapers say you’re the Six-Million Pound Mum, I’m assuming this is referring to British currency. And you’ve also got a team of over 2,500 Avon reps throughout the United Kingdom. How did you get to where you are? Gail Reynolds: It wasn’t actually something that I was looking for. In 2002, I moved home and I got myself a job. I had the two children and had a boyfriend at the time, Bryan. We got ourselves a little flat and settled in quite quickly, but I didn’t really realize just what a good network of friends I’d got until I’d left. I’m talking about a three-hour drive, so it wasn’t like I could just get in the car and go and visit. Avon for me was something that I stumbled upon just so that I could meet new people. I trusted the company – my mom did Avon, my grandmother did Avon, and I knew the product was safe. I stumbled into it. And one of the things that I’ve learned over the past 10 years is actually one of the key elements to becoming successful in anything that you do: You have to have an interest in it. You’ve also got to have some kind of background or knowledge or experience within that industry. I wouldn’t have been any good at selling pills and house care and stuff like that because I never really knew anything about it, but makeup, I knew a lot about it, and like I say, my mom and grandmother were in it. It’s actually one of my top tips, that if you’re going to sell anything, you’ve got to have at least an interest in that industry. Douglas Goldstein: Let’s talk a little bit about schooling. You stopped school at a rather young age, at about 15, and then you were just working in the fruit and vegetable market. Did you ever imagine that you would get to where you are today? Gail Reynolds: I never did. I don’t know if you know, but I’m one of 69 grandchildren and great grandchildren. That was at the last count about three months ago. I was the eldest granddaughter, and at the very ripe age of 9 or 10, I was also the babysitter. My mom’s brothers and sisters were popping babies everywhere and I was the one that looked after all the babies so they could go and have parties and go out and celebrate. From a very young age, I just wanted to be a mom and do the traditional, have a baby, get married, and settle down, and be a housewife. Actually, business was never in the forefront of my mind, and if somebody had told me this 10 or 20 years ago, I probably wouldn’t have believed them. Douglas Goldstein: I know that you’ve spent a lot of time teaching women who are looking to go into business, and I’d like to focus on some of those questions. But is the advice that you’re going to give us today applicable to men as well? Gail Reynolds: It certainly is. My husband is also part of my business. My husband was my boyfriend when I first started Avon, and I managed to save enough money to get the ball and chain, and actually married him about two years later. So that was my Avon’s savings, I got him! But actually after my second year, he saw my accounts and he was just absolutely blown away. My husband was 16 years in management, and in my second year, I was earning more than him, and he was blown away. “I need to see those accounts, let me see that,” he said, because I was still looking after the children, and at one point, I was still working 20 hours a week doing a job as well, and doing the school runs and the washing, the drying, and the ironing like most women. But my husband came on board quite quickly when he saw the money, which most men do. Douglas Goldstein: If you wanted to give one important bit of advice to a woman who is where you were 5, 10, or 15 years ago, what would you suggest? Gail Reynolds: A lot of moms who are at home with children don’t seem to have a lot of confidence in themselves to actually just make the first step and start inquiring and looking out for a work-from-home job. I think one of the biggest tips I can give to anybody that’s interested in this kind of business is do a lot of research. You can do it now with the internet. Five or six years ago, we didn’t use the internet as big as we do today, but I think it’s building your confidence as a woman. It’s about listing what you can do rather than what you can’t do. When I went back to college at 25 years old, I went in and I said, “I need to re-educate myself,” and the lady said, “What can you do?” and I said, “I was good at math,” and she said, “Okay, let’s do a course in math.” It wasn’t what can’t you do. It’s actually what can you do. One of the biggest tips I would say is to look at yourself as a mom as well. You’ve probably got quite a few skills that you don’t even imagine you have. As a parent, you always negotiate with the kids to make sure they’re eating their broccoli and their carrots, so you’ve got some pretty good negotiation skill sets. Obviously again, you’ve got to be good at organizing, so you’ve already got a fantastic skills set there, and lots of moms coach and develop their children and they nurture, and that’s what this business needs. My biggest piece of advice would be to look at yourself, see what you’re good at, and make some lists of what you know you’re good at rather than focusing on what you can’t do. Douglas Goldstein: You keep referring to “this business.” Are there other companies like this or is Avon really the business that you’re referring to? Gail Reynolds: There are tons of multilevel marketing businesses, which is what I refer to. I say “this business” because I want it to come across as a whole. There are many terminologies for it. You’ve got “MLM,” which is “multilevel marketing.” We’re also called a “direct selling business,” but it’s a network marketing business as well. This industry that I personally stumbled into 10 years ago is open to anyone in the world that has any kind of inclination about starting up a business from home, around your children, and with little or even no education in business. You don’t need it because there’s so much information out there. Douglas Goldstein: As you mentioned, the internet is becoming more and more prevalent in our lives. Do you think that’s actually going to negatively impact the need for this kind of face-to-face sales? Gail Reynolds: I don’t think it is. Avon in the UK just developed an online brochure where I can put that on my Facebook account, Twitter account, and any social media account that I’ve got, and I can actually sell from sitting beyond my computer desk. I don’t have to do the old traditional practice of putting a booklet into a door or handing a book to a customer. I still do that and I still will continue doing that. However, the generations of today are all online. They’ve got 500 friends on Facebook, but they probably only see three of them. For me, it’s developing and embracing change, and this time five years ago, Facebook wasn’t heard of, but now it’s like 50-60% of my business. It’s definitely something that has positive impacts on this industry. Personally, I see it as a positive, revolutionary way to build a network marketing business. Douglas Goldstein: Facebook is about 50-60% of your income, but it certainly doesn’t take 50-60% of your time, does it? Gail Reynolds: No. I’ve got Facebook pages, groups, and profiles. I’ve got my own personal website, where I write blogs, helpful tips, hints, and ideas on building a business, and even things for customers like the brand-new mascaras and face creams that are coming out. One of the things I taught myself was attraction marketing about five or six years ago, and I’ve actually used all the media platforms to do that, so a lot of people can find me purely through any of the social media platform now. So when you type in Avon, nine times out of 10, I’ll pop up. Douglas Goldstein: Are you mostly today an Avon lady or are you a business woman or a coach? How do you define yourself? Gail Reynolds: I don’t know. I think I’ve got quite a few titles! I get confused myself, to be honest with you. 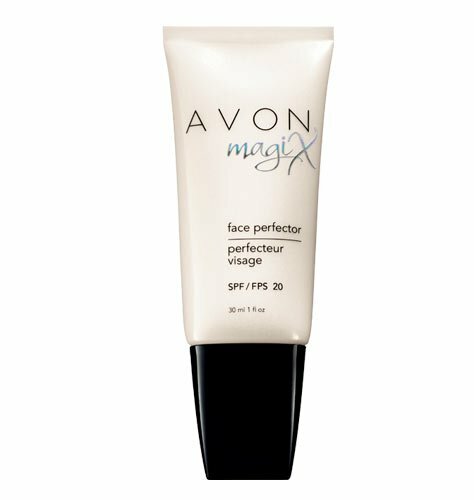 First and foremost, I’m an Avon lady and I’m very proud of that title, but I’m also called a “senior executive sales leader.” There are many kind of ranks and levels that you go through, so you become an Avon representative first, and you sell to your own customer base, your friends, your family, and your neighbors. Then I got promoted into leadership, and anyone can do that once they are a representative. It was so basic. It was just a case of, “You know what, Gail? You’re a pretty good Avon lady. What if you teach us to do the same?” and by doing that, I then earned a commission of what they sell. They earned their own personal income, but whatever is left over, I get commission off that as well, and then you can climb through the ranks and earn more and more in percentages. I’m a senior executive sales leader. I’m an author. I’m a coach, and I do guest speaking and inspirational speaking for other companies as well. Douglas Goldstein: I want to go back to something you mentioned earlier, which is you felt the need to go back and get some higher education when you were 25. You said you studied math. Why did you do that? Gail Reynolds: It was the only thing I was relatively good at when I left school, and at the age of 25, I was left as a single parent for the second time. At age 25, I had two babies. I had a six-week old and my boy was seven. I thought, “Life isn’t supposed to be like this. I’m not supposed to be here. I’m 25.” I was on income support. I had no education. I didn’t drive. I had a very low self-esteem, and I decided that if anybody who’s going to change my life, it was only ever going to be me. I just literally pushed myself into the local college and everything went from there, and I was only ever good at numbers, so for me, that was the obvious choice. Douglas Goldstein: How can people follow the work that you’re doing and learn more about you? 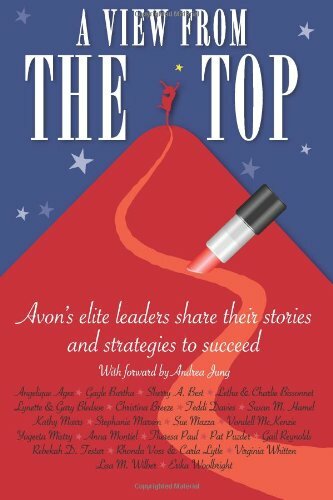 Gail Reynolds: I’m on all the social media, so anything from Facebook, Twitter, YouTube, and you can just type in Gail’s Avon and you can find me across the board on any social media platforms. I have two websites. One is called www.gailsreps.co.uk and that is based on the Avon business, the multilevel marketing, the sales leadership, and how to build a business from that. I also have a website called www.gailreynolds.co.uk, and that’s more about working women. There’s even a community on there where we can share ideas with about 500 members, literally across the globe. They could be nail technicians to hairdressers to a multilevel marketer like myself. It’s got my books on there. I’ve got books that I’ve written over the past couple of years, audio interviews that are similar to this, and it’s a really nice community as well.